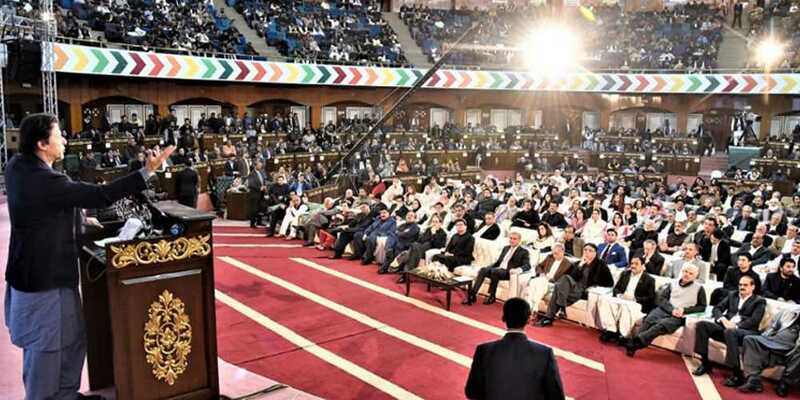 Addressing a ceremony marking completion of the first 100 days of his government on Thursday, Prime Minister Imran Khan said they tried to benefit the common man from their policies. PM’s Adviser for Establishment Division Shahzad Arbab, in a ceremony in Islamabad, said that the government had managed to initiate at least 18 of the projects and schemes out of the 36 projects it had announced in May. Establish Asset Recovery Unit and Trace Unlawful Wealth: Task force to recover unlawful wealth established and functioning. Assets Recovery Unit set up in the PM Ofﬁce and fully operational. Legal Assistance Bill 2018 ﬁnalised. Declaration of UK/Pakistan Justice and Accountability partnership. Update on work done by the taskforce published at the end of 100 Days. Draft Local Government Act of Khyber Pakhtunkhwa, Punjab and ICT: Review of Pakhtunkhwa and Punjab LG system with recommended improvements. Proposed blueprint for revamped LG system for Punjab, KP and ICT developed for review. Draft legislation to amend LG law in each province / ICT, and intended timelines for election published is still being worked on. Legal Reforms to Revolutionize Access to Justice: Civil Law and Criminal Law Reforms Taskforces created. Review of Civil Laws completed to recommend amendments to achieve expeditions and adjudication of Civil cases. Initiate draft legislation for Civil procedure. Initiation of Criminal Law reforms. Review of substantive laws completed and procedures in relation to issuance of letters and succession certiﬁcates. Legal Vetting of Disability, Corporal Punishment and Torture Bill. Finalisation of legislation for setting Legal Aid Authority under the Ministry of Human Rights. Naya Pakistan Housing Programme: Housing task force established. Policy framework developed is still being worked on. Framework to establish National Tourism Board: Task force on tourism established. Private Sector investment framework is worked on. FBR reforms roadmap: FBR Chairperson to be appointed (Adviser, Establishment). FBR Reform Blueprint to be developed and launched (Chairman, FBR). Tax Policy to be developed and announced (Finance Minister). Action Plan for Women and Girls in the Justice System: Consultations with stakeholders for development of action plan on criminal justice. Action plan on criminal justice developed and execution started. Awareness campaign on inheritance rights launched. Consultations with stakeholders for action plan on inheritance rights with Ministry of Human Rights. Action Plan on inheritance rights developed with Ministry of Human Rights. Launch 10 Billion Tree Tsunami: Restructure existing Task forces on Climate Change and Wildlife to drive Government’s Green Growth Agenda. 10 billion tree Tsunami launched. Urban tree Tsunami launched. Clean Drinking Water Plan (ICT only): Options on clean drinking water developed for ICT. Plan developed and launched.